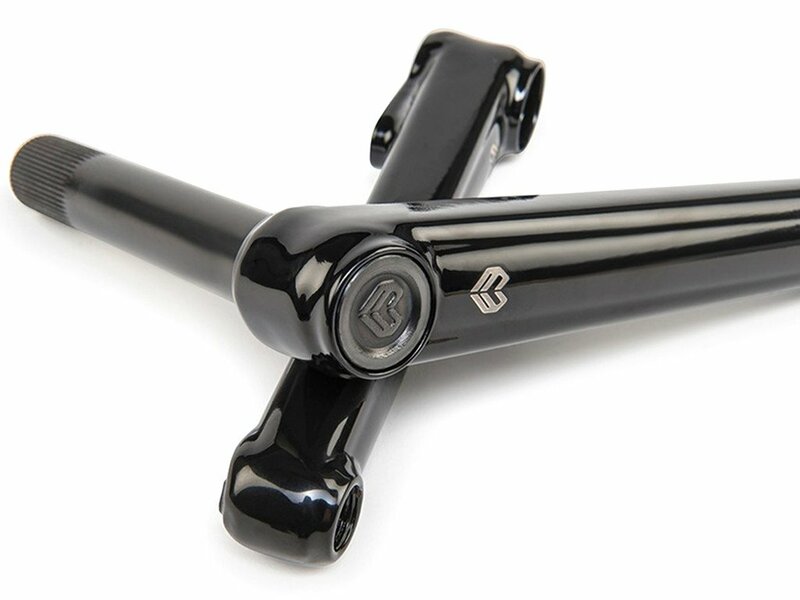 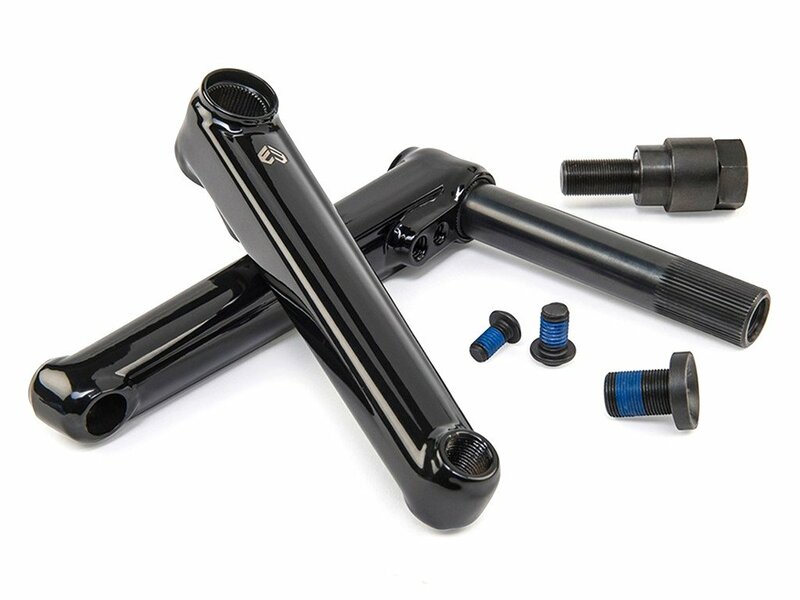 The eclat "Tibia" BMX Crank is a simple to install 2.5-pc. 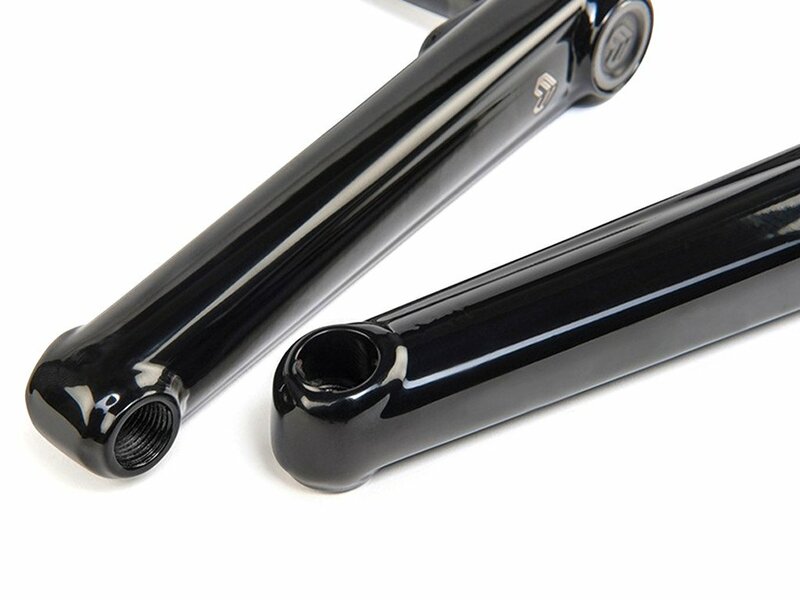 crankset with a 22mm CrMo hollow spindle and because of its modern, fully heat treated manufacturing technology very strong and light weight, too. 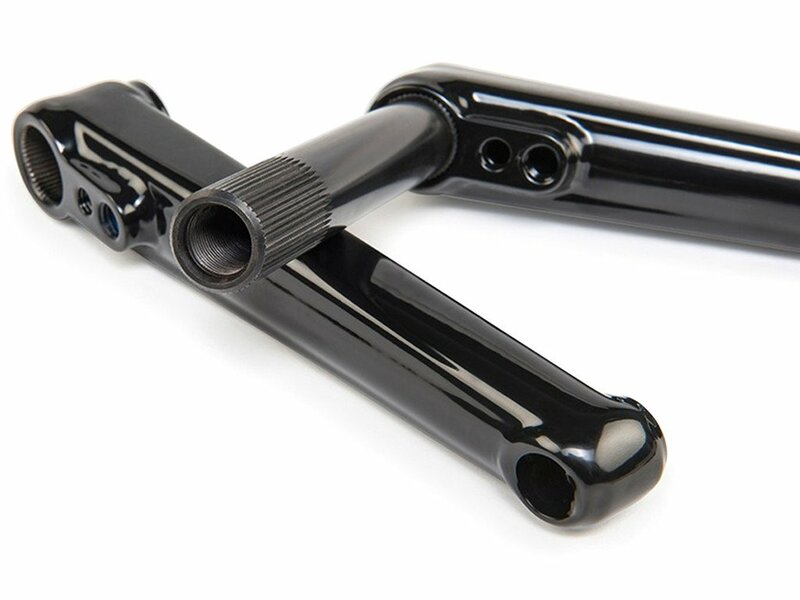 The eclat "Tibia" BMX Crank comes with double sprocket mounts on both crank arms for regular and microdrive sprockets ( smaller as 25T ) which makes it RHD/LHD compatible.